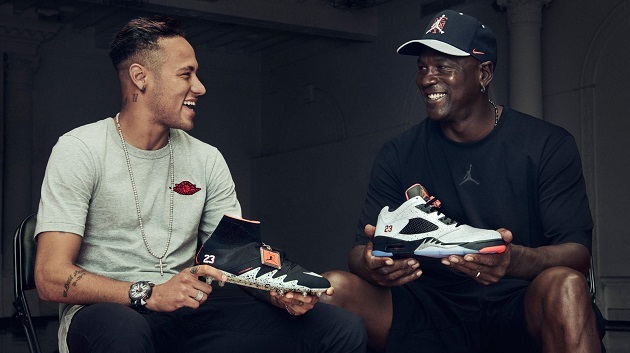 As soccer continues its climb into nearly every facet of the world (it is, after all, the world’s game), it should come as little surprise to see a collaboration crop up between the upcoming star of Nike’s soccer world in Neymar and the lifelong star of anything/everything Nike: Michael Jordan. That’s right, THE Jordan. The most famous #23 of all time has finally seen his vast influence in the equipment world shift over into soccer, and Neymar is going to be the lucky recipient. Now respite with all the “Jumpman” logos you could possibly hope for, an entire collection has made its way onto the pitch. 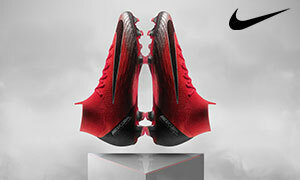 The biggest talking point comes in the form of the look that Nike has given their HyperVenom II. 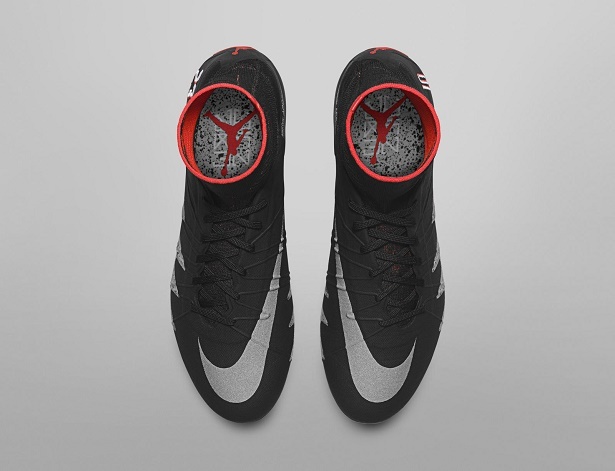 Taking inspiration from the Jordan V (a personal favorite of Neymar), the Venom II has a really smooth and sharp look. 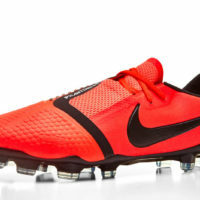 Totally unique from the other Venom boots currently on the market, we’re definitely a bit partial to the shark teeth and the reflective Swoosh. It’s a brilliant blend, and we think that this may inspire many more fantastic collaborations down the road between global superstars and soccer. Not only has the Venom II gotten a nice blend, but there’s a whole host of other items that we would love to add to our closet. 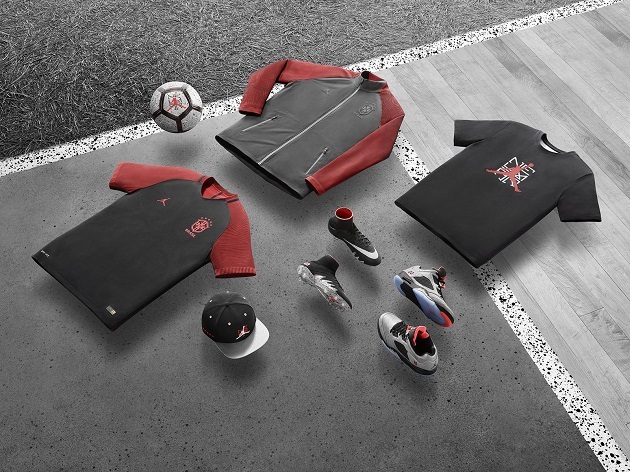 Neymar gets his own version of the Jordan V Low, some various clothing, and even a customized Ordem 3! Each item has touches from both sides of the coin, with pieces of Neymar (Brazil crests, ‘NJR” logos, Neymar’s #10, Neymar’s son’s initials on the laces, and some extras) and Jordan (massive design choices, the “Jumpman,” tons of #23’s, and no doubt to the legend behind the brand). It will be very interesting to see which side of the market is actually more intrigued by these creations, and we’re very anxious to see how popular they are. 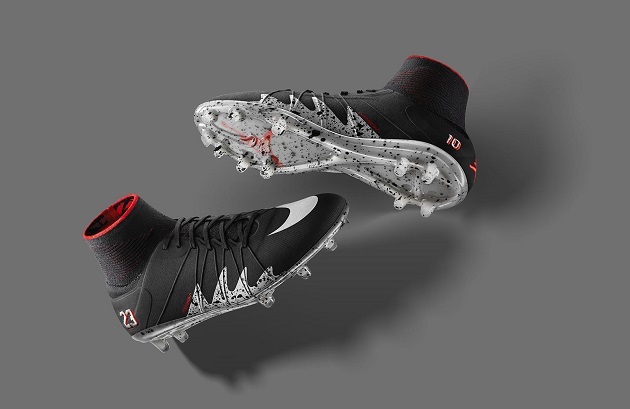 Expect to see Neymar rocking these boots during the Copa, and we’ll be looking forward to seeing if anyone else is brave enough to wear the Jumpman out on the pitch. Look out for your own piece of this fantastic collection when they go on sale June 3rd. And, hey, snag a pair or two for us?…Please?